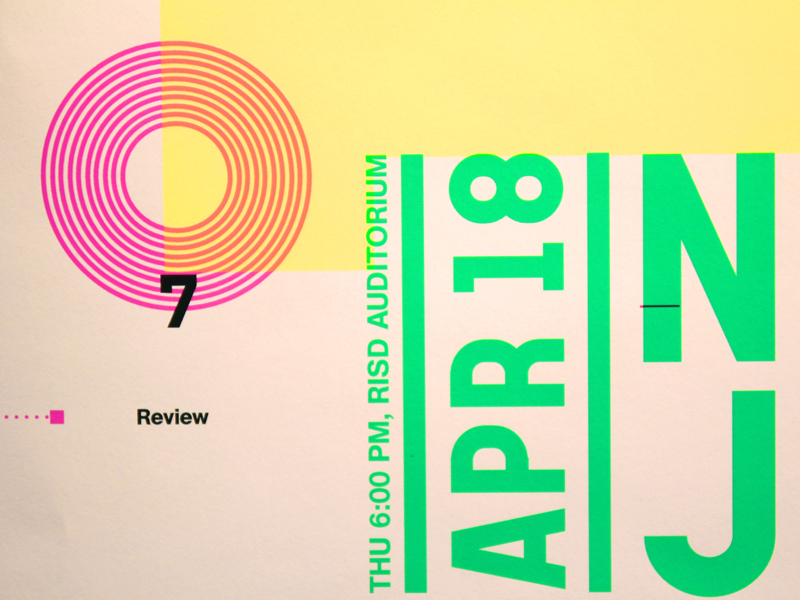 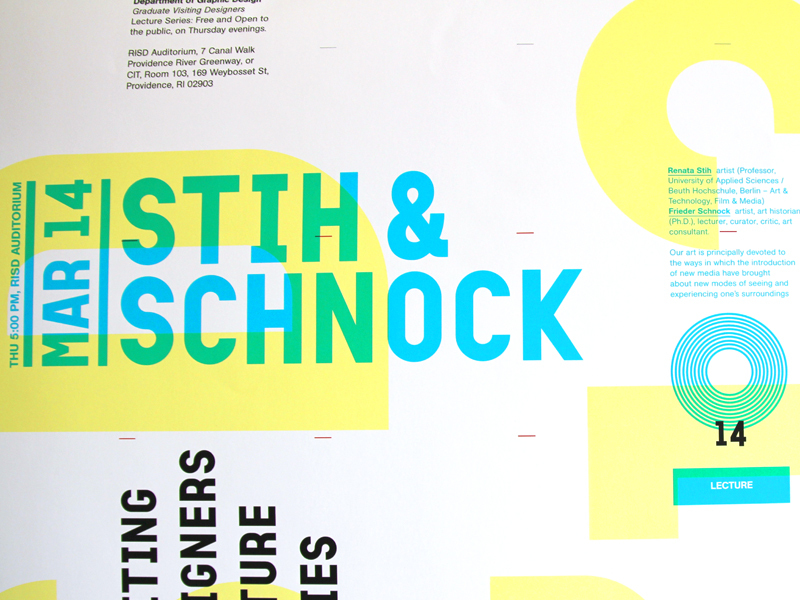 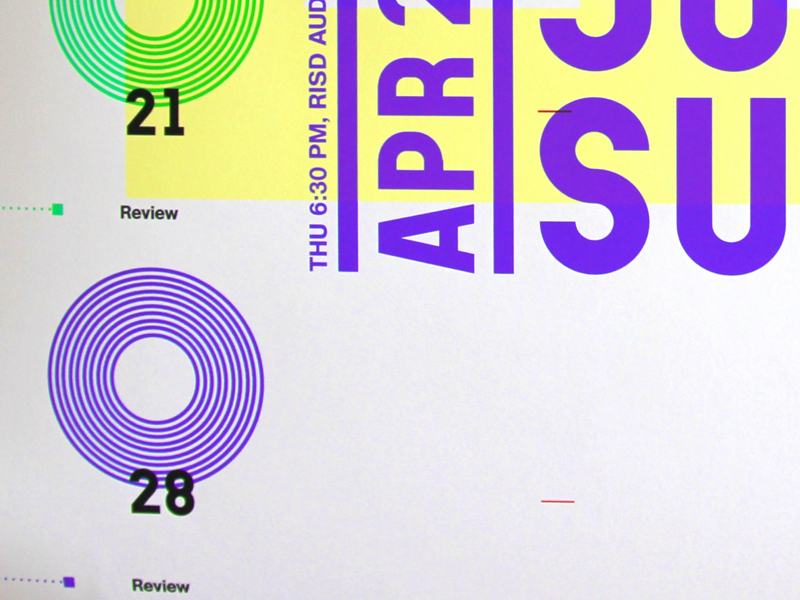 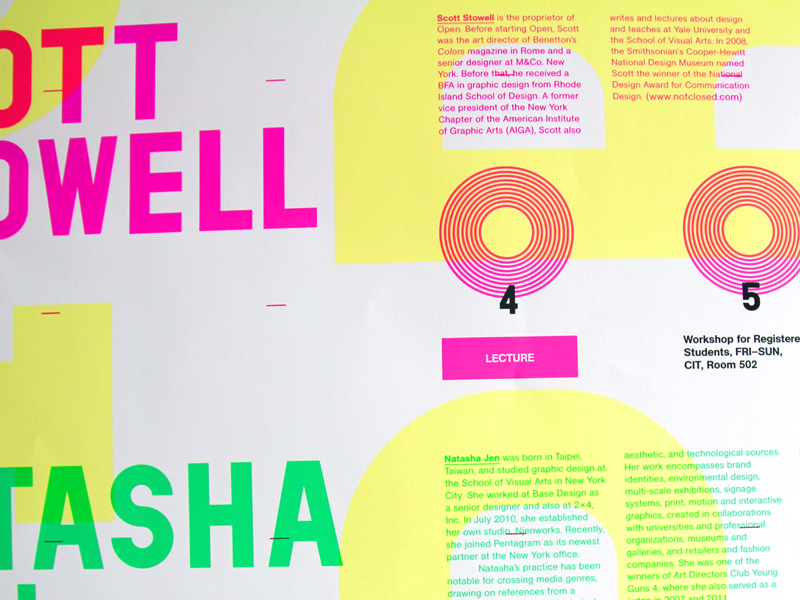 A poster for Rhode Island School of Design Graduate Graphic Design Visiting Designers lecture series, Spring 2013. 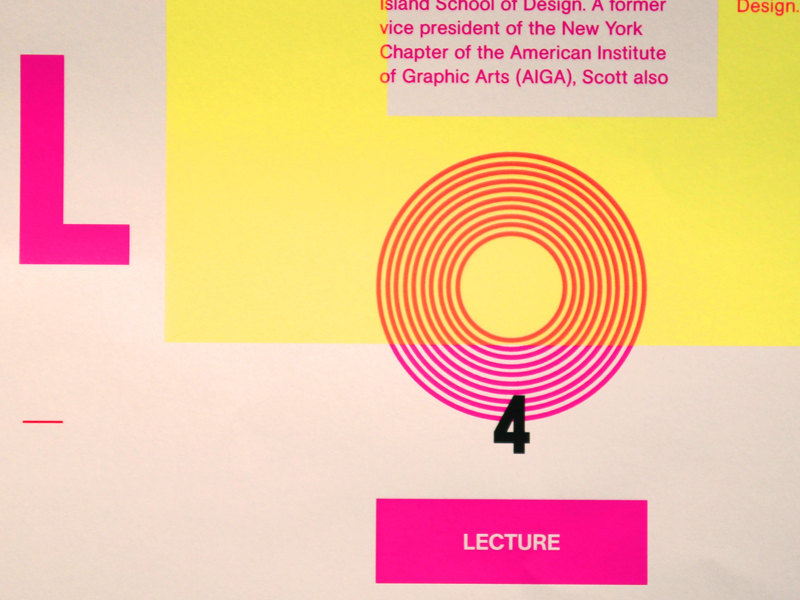 In this design I created an overall course (lectures and workshops) timetable and graphic elements based on the system and grid of the 2013 calendar from end of February to early May. 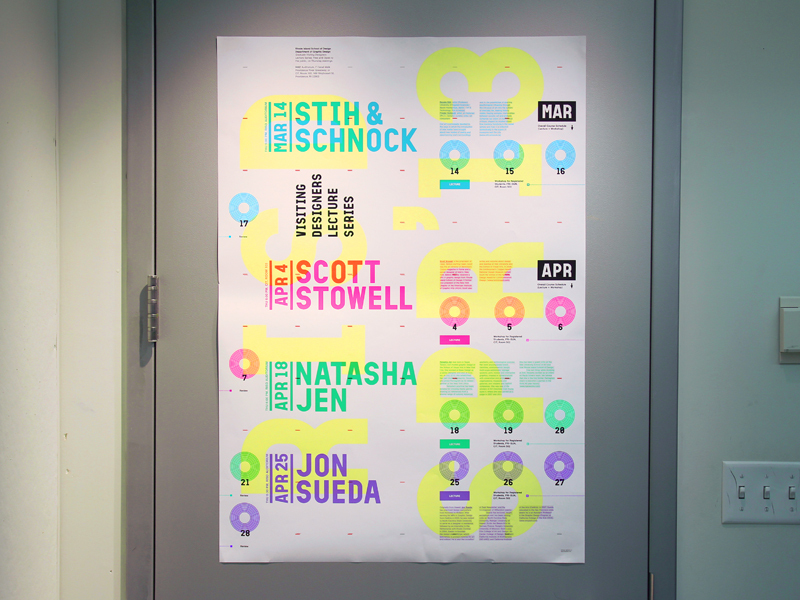 Colors not only indicate each visiting designer’s name, lecture schedule, and biography, but also represent a spring wave.